May the choirs of angels meet you. 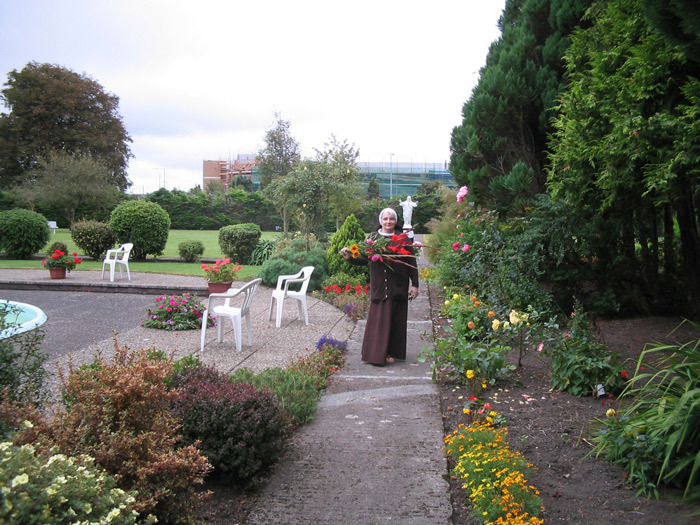 On May 28th, 2016 the death took place in the Poor Clare Monastery, Ennis, of Sr. Simon Daly, affectionately known by her family as “Josie”. Simon had lived Poor Clare life for fifty three years. On May 30th last year she celebrated the Golden Jubilee of her Profession. Simon was born and reared in Bundoran, Co. Donegal, where she is now laid to rest with her parents Willie and Mai, and her two brothers Francis and Jim. She will be sadly missed by her community, her sister Kathleen (Sr. Zita of the Newry Poor Clares) her brothers and a large circle of relations and friends. May she delight in the Lord forever.